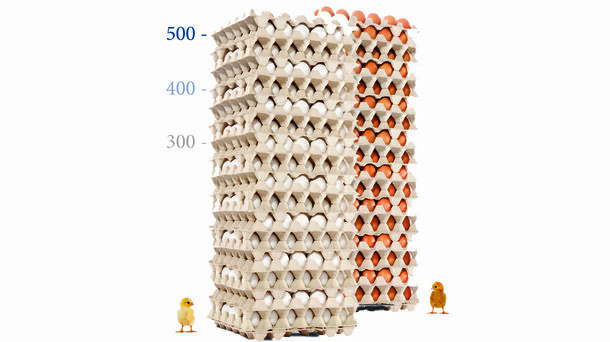 Today’s egg producers are facing challenges in this changing industry. For producers looking to transition to a cage free system, they will need the right product and resources to make the change smooth and successful. Efficient, docile, and capable of laying up to 500 first quality eggs in its lifetime, the Dekalb is a perfect fit for the modern farmer. We believe that new opportunities for success are ahead, and we are excited to help you conquer whatever comes next. DeKalb Poultry Research, Inc. was founded in 1944. After 51 years of successful layer breeding the poultry business was sold to Central Farms of America in 1995. In 30 June 2000, Dekalb Poultry Research became part of Institut de Sélection Animale - ISA is today known as Hendrix Genetics.